​A host of Serie A clubs have enquired about 17-year-old Sandro Tonali, according to the player's agent. Tonali, who currently plays in a defensive midfield role for Serie B side Brescia, has been tipped for big things in the game, and has even been referred to as the 'new Pirlo'. Speaking to ​Gianlucadimarzio.com, the midfielder's agent, Roberto La Florio, has claimed that six clubs from ​Serie A, including Juventus and Inter, have been in touch about the player, but has played down the talk of a move. "​Juventus, ​Inter, Genoa, Sassuolo, Bologna and Palermo have all asked informations [sic] on him. "We are talking about a lad that was born in 2000 who is currently playing as a starter with Brescia in the Serie B. He is very happy and relaxed at the moment as he doesn't feel the pressure." Tonali has so far only made four appearances for the Italian club in Serie B, but the teenager has played the full 90 minutes in the club's last three outings, as the club try to stay clear of the second tier's relegation places. La Florio has also resisted comparisons between the young player and Italian legend Andrea Pirlo. "You should not exasperate this situation, he must not grow up with the obsession of being the 'new Pirlo': he is Sandro Tonali." He said when questioned about the similarities. Caparisons between Tonali and Pirlo came because Pirlo started his career at the club Tonali is currently plying his trade - Brescia. The recently retired 38-year-old made 59 appearances for the Northern Italian club in both Serie B and Serie A, between the years of 1996-2001. 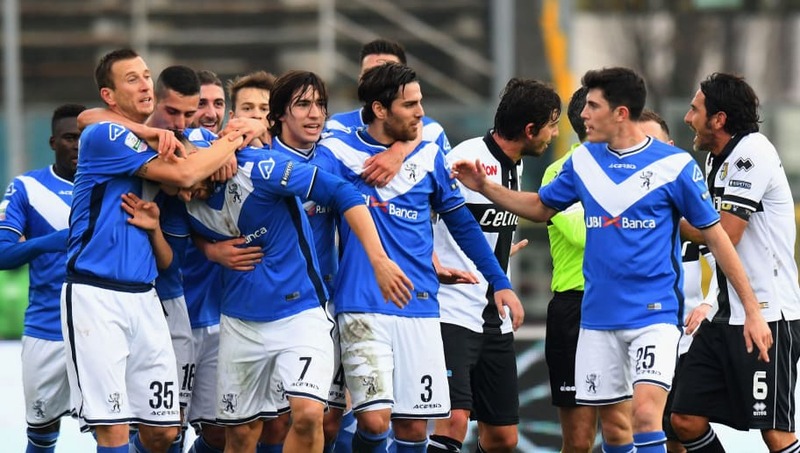 The teenager will get his next chance to impress suitors when Brescia face Ternana in Serie B on Sunday.